Web design, graphic design, and programming offer strong job security and the freedom to balance your work and family life. There are stay at home mom jobs available to mothers with all kinds of skill sets, including mothers who are highly educated in technical fields. You don't have to work at a plant or in the office to find technology jobs like web development or graphic design. In fact, with a college education, you may be able to find higher paying jobs while working from the comfort of home. If you are an educated, skilled worker, you might consider taking up one of the following for a lucrative at-home job. To find web design jobs, you will need to have a portfolio of work available for people to examine. If you don't already have one, you might consider building one by visiting 99Designs.com and entering some design contests. If you win, the prizes are generally lucrative; if you don't, you still get to use your design for your portfolio. Once you have a good portfolio, web design jobs may be found at iFreelance.com and other freelancing sites. These sites allow service providers to bid on posted jobs, and the poster of the job can choose the person he or she deems best for the job (this is why a great portfolio is important). Outsourcing sites, while prominent, are not recommended due to the extremely low pay offered. 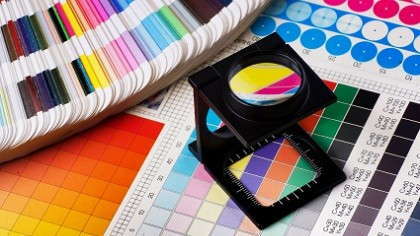 Graphic design goes hand in hand with web design, though it's possible to specialize in one or the other. If you are skilled with Photoshop and have a good eye for design, but don't know much coding, it's possible to earn money by submitting only your layered .psd files; someone else will code them later. If you happen to know how to use Macromedia Flash as well as Photoshop, that's even better. All of the sites mentioned under Web Design are good places to begin building a portfolio and looking for jobs as a graphic designer. Programming can be confused with web design, but there are significant differences. Web designers primarily use CSS and HTML to make pages appear as they should, while programmers can create interactive programs within web pages. If you know a programming language, you may be able to find work by creating programs for different websites. iFreelance.com is a great place to begin looking for programming jobs. These 3 jobs are some of the most popular skilled home jobs since they can be accomplished completely online. There are many other work from home jobs available to skilled workers, such as architecture or tutoring. If you received a college degree in a technical field, you will likely be able to put your expertise to work from home by freelancing on the Internet.